Showcasing durability and performance as well as beauty, Wedge Roofing's installation on a ranch also demonstrates wildfire resistance. PORTLAND, Ore.—The winner of the Metal Roofing Alliance’s Best Metal Roofing Project Competition proves that better protection can be beautiful. 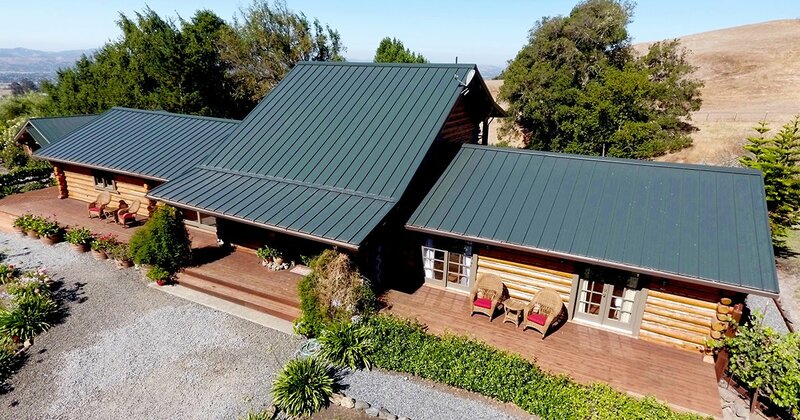 Wedge Roofing, an MRA contractor member located in the San Francisco Bay Area, recently took top honors for a beautiful metal re-roofing project installed on a rustic log cabin home located at Moon Dance Ranch in Sonoma County, Calif. While the Forest Green Skyline Roofing steel panel style from ASC Building Products impressed the judges for how well it complements the home, it was the attention to performance that made this project a winner. The solid-wood log home is located in very close proximity to the recent devastating wildfires in Northern California, and the homeowners wisely decided to replace their 40-year old, highly combustible wood shake roof with a new metal roof. Working with Wedge, the homeowners chose a 26-gauge steel roof that has a Class A fire rating and utilizes Cool Dura Tech XL paint system to help increase energy efficiency. Attention to installation details included the application of a waterproofing membrane and a fire-rated underlayment for exceptional worry-free performance and protection. 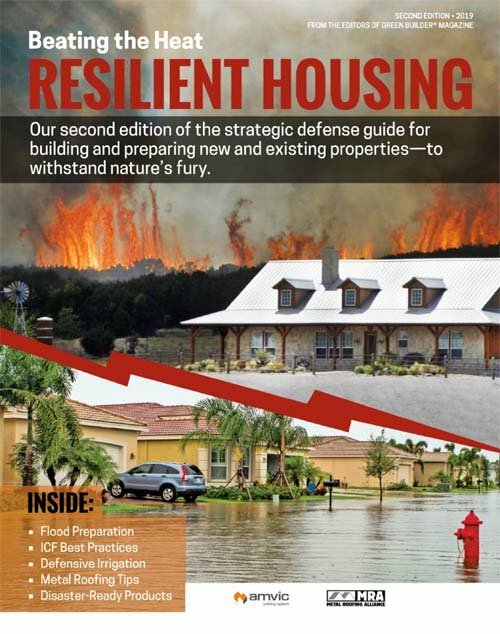 “Built to last for many decades to come, this project demonstrates how a new metal roof not only adds incredible style, it also offers better protection well into the future, no matter what Mother Nature’s fury may bring,” said Renee Ramey, executive director of the Metal Roofing Alliance. Held October through December 2018, MRA “Best Metal Roofing Project” competition was designed to honor the most outstanding examples of great residential metal roofing projects. Open to contractors and installers in the U.S. and Canada, entries were evaluated based on appearance, performance and use of metal roofing materials. Story Contributed by the Metal Roofing Alliance (MRA): Representing metal roofing manufacturers in the United States and Canada, the Metal Roofing Alliance (MRA) was formed in 1998 to help educate consumers about the many benefits of metal roofs. The main objective of MRA is to increase awareness of the beauty, durability and money-saving advantages of quality metal roofs among homeowners, as well as to provide support for metal roofing businesses and contractors. For more information, visit MRA.